Bask in the sparkle of these celebrity engagement rings. You know that moment when your favorite power couple announces they’re getting engaged? 2017 gave us multiple moments like that. Over the past year, we’ve been treated to some stellar celebrity engagement rings and we’re definitely thanking our lucky stars! So, what can we learn from our famous friends and their showstopping rings? 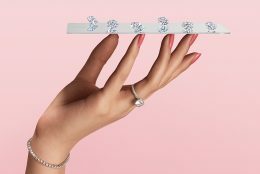 Less traditional diamond shapes are in right now, with the likes of Cardi B and Kirsten Dunst rocking pear and oval shapes respectively. These talented ladies aren’t the only ones turning heads with their unique ring styles. Find out which other celebrity engagement rings we think are destined for stardom. 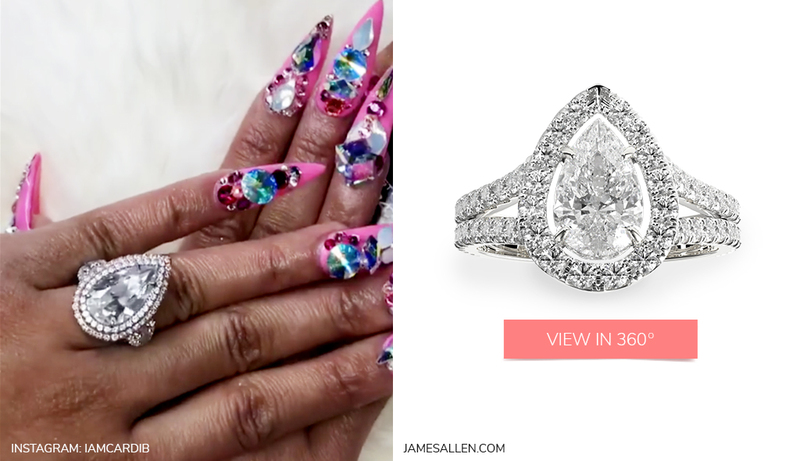 Rising star Cardi B was recently gifted this eight-carat stunner by fiancé Offset. 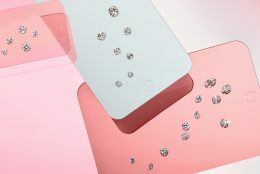 The Bodak Yellow rapper’s rock is surrounded by two half-carat pear diamonds and two carats’ worth of pink and white stones. 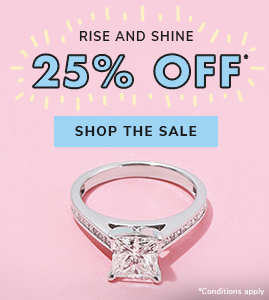 Assuming you don’t make “money moves” quite like Cardi, here’s a more affordable split-shank halo engagement ring. 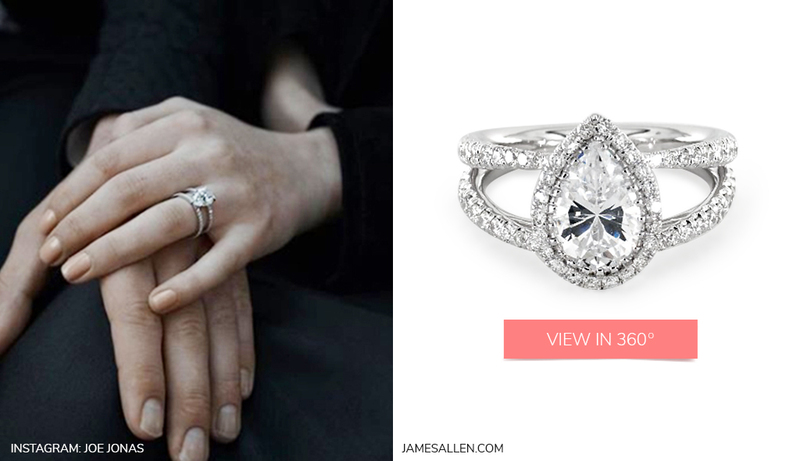 The pear shape center diamond is complemented by a stunning pavé halo and pavé under gallery. 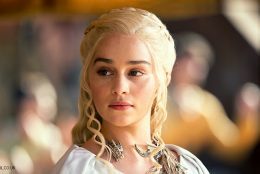 Pop singer Joe Jonas popped the question to his girlfriend, Game of Thrones actress Sophie Turner, with this pear-shaped split shank engagement ring. But why live in a world of fantasy when you can get a near-identical ring IRL for less? This split shank engagement ring features two pavé bands and a stunning halo that accentuates the pear-shaped diamond. 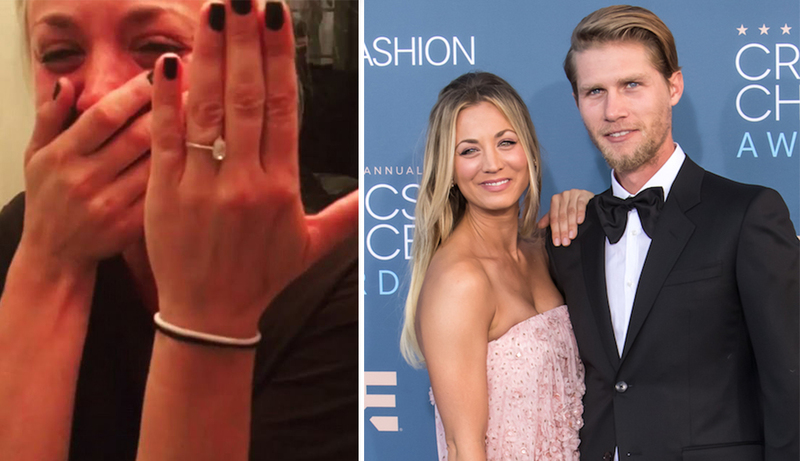 The only tear on Kaley Cuoco’s pillow is the pear-shaped ‘teardrop’ solitaire engagement ring given to her by fiancé Karl Cook. 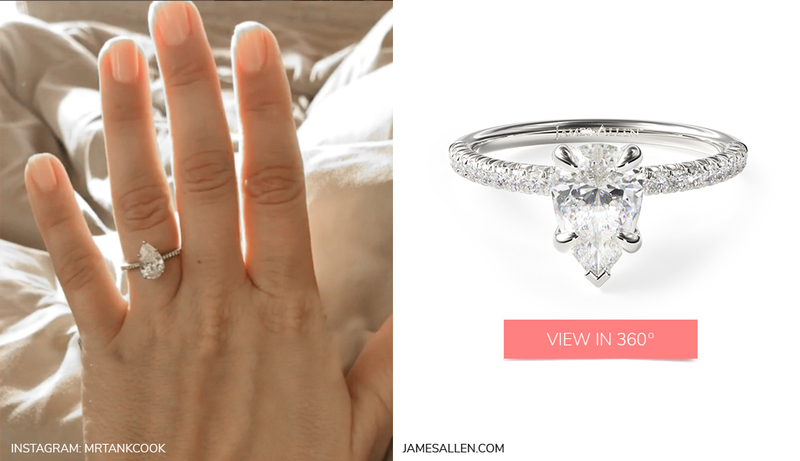 Snag the Big Bang Theory actress’ ring style with this French-cut pavé engagement ring, designed to maximize the amount of light that hits the diamonds from all sides. 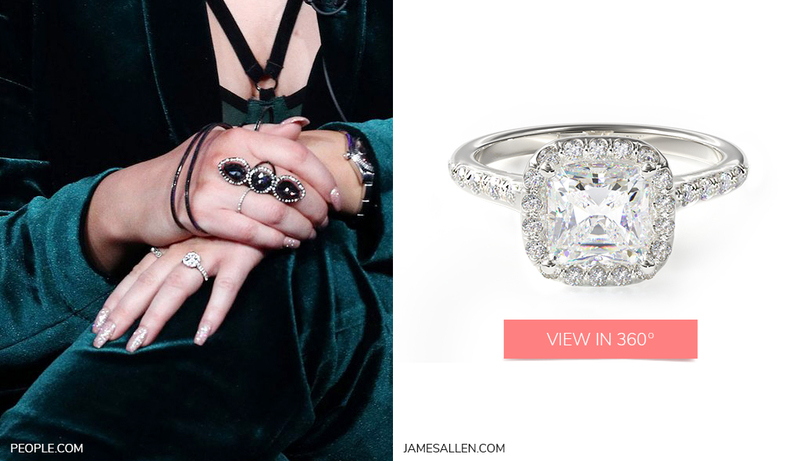 Singer Meghan Trainor received this twinkling cushion cut diamond engagement ring from her dear future husband, actor Daryl Sabara. You, too, can be all about that bling with this matching cushion cut sparkler, which features pavé-set diamonds on the halo and along each side of the shank. Of course, she isn’t the only famous Meghan to have said “YES!” in 2017. Read this article to get inspired by Meghan Markle’s much-hyped engagement ring. 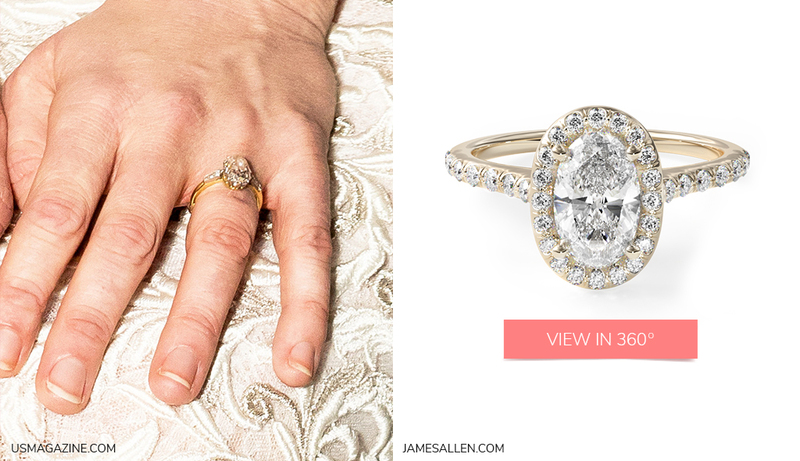 Perhaps you prefer the old Hollywood glamor of Kirsten Dunst’s vintage oval-cut diamond set in a yellow-gold band with baguette accents. This drop-dead gorgeous lookalike features pavé set diamonds on the halo and along each side of the shank, highlighting the oval-cut center diamond. Bring it on, we say! Actor Matthew Alan brought the drama when he proposed to Grey’s Anatomy star Camilla Luddington. 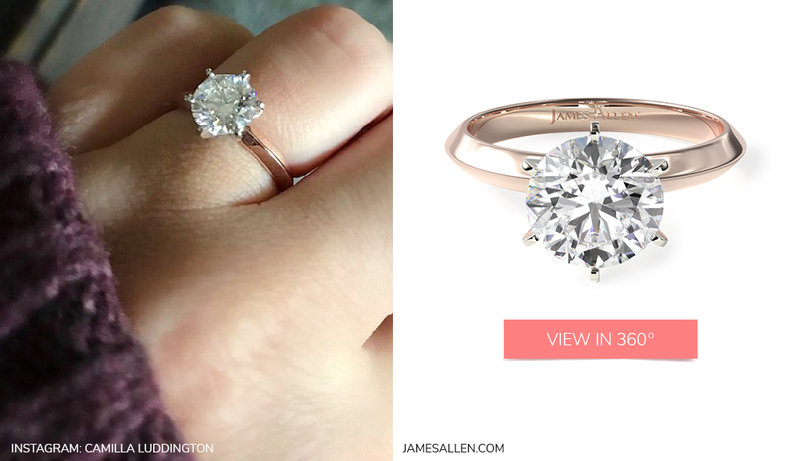 He opted for a more traditional round-cut diamond set on a dainty gold band. Recreate the showbiz look with this exquisite knife-edge diamond solitaire, which offers classic appeal at an affordable price. 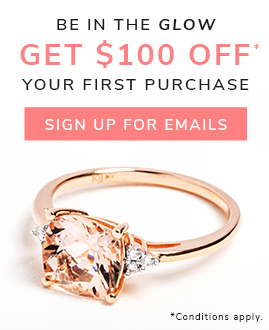 You don’t have to have your name in lights to design your own engagement ring. Check out these star-studded sparklers in 360° HD. Which celebrity engagement ring are you swooning over? Let us know in the comments below or on our social channels: Instagram, Facebook, and Twitter.